What’s the Point of a Wireless Hard Drive, and Do I Need One? As consumers continue to shift their lives away from the desktop and onto their mobile devices, having an external hard drive that can you connect to without any cables is a convenient way to stash away photos, videos, and music you want to take with you on the road. But how do they work, and are they worth the increased cost over the more traditional external media solutions we’ve used until now? What’s a Wireless Hard Drive? Traditional external hard drives require a USB port to connect to your computer. Wireless hard drives, as the name implies, use either Bluetooth or WiFi to allow almost any kind of mobile or stationary device to access the files stored inside. This is particularly useful for mobile devices like smartphones or tablets, which don’t have simple USB ports like laptops–they have a Micro-USB (Android) or Lightning (iPhone) port. This means that unless you buy some very creative adapters and download third-party apps that aren’t even available in the main app stores, a regular external hard drive won’t work on many phones. Some Android devices may work with external drives but, even then, they’d lose battery very quickly powering the drive. Wireless hard drives are battery-powered, and constantly emit their own WiFi network that any surrounding devices can connect to with a password. If you connect to it from your PC, the drive will show up in File Explorer (Windows) or Finder (Mac OS X), just as though it were already plugged in over a physical cable. If you connect to it from a smartphone or tablet, a window should appear that will take you through all the steps you’ll need to begin transferring files to and from the drive. The battery life will vary depending on what you’re doing at the time, but most manufacturers rate their drives at about six hours of uptime while consistently streaming media, and around 20 hours if kept on idle standby. When the iPhone 6s was first announced, analysts and journalists alike lambasted Apple’s decision to cling to a 16GB option. With the introduction of both Live Photos and 4K recording, it was clear that anyone who went the budget route with their next mobile purchase would run out of space trying to hold a measly 30 minutes of video at a time. 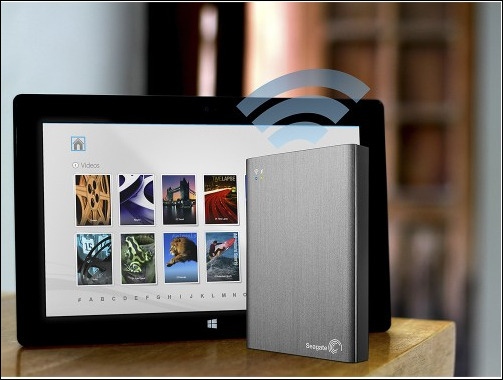 With a wireless hard drive packed away, you can offload any photos or videos you take onto the drive in minutes. It’s great if you’d prefer not to pay for a cloud service and need extra space in a pinch when travelling. Of course, it also works just as well as a fully operational independent media server. The best wireless HDDs out there come with a range of built-in media streaming capabilities, which work with smartphones, tablets, smart TVs, and media streamers like the Chromecast and Roku. 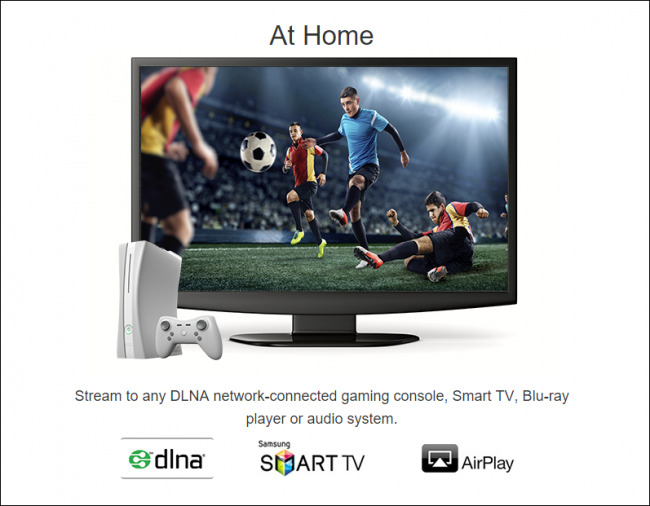 Simply join the hard drive’s network via your TV’s interface, and all the movies, TV shows, or music you have stored on it will be playable through your (or a friend’s) home entertainment center. All this added functionality doesn’t always come cheap, however. Regular wired external hard drives can cost as little as $50 for 1TB of storage, but equivalent wireless hard drives would cost at least twice as much. This is due all the extra parts that manufacturers need to include with a wireless hard drive in order to make it work, including the battery and the various WiFi components. Also, if extreme portability is what you’re after, these added chips and battery packs will also bulk the device up a bit. If you’re planning on stashing the drive in a laptop bag or a backpack it’s pretty much negligible, but if you like the idea of having the entirety of your system backups ready to slip out of your pocket at a moment’s notice, the increased heft could start to weigh you down. As the cameras on our phones continue to take better pictures and higher resolution videos, the need for secondary storage options will only continue to grow. Wireless hard drives are the perfect solution for a world where one minute of 4K video takes up more than 1/3 of a gigabyte, and the storage footprint of our photos aren’t very far behind. But while they’re perfect for road warriors, professional photographers, or any parent who plans on getting a full recording, their increased cost may not be worth it for someone with a 128GB drive on their phone and 3TBs of space on their cloud account. Of course, the decision between the two is made a whole lot easier when you know that even though a wireless hard drive has “wireless” in the name, you can still plug it in whenever you’re back home. Every wireless hard drive worth its salt features both the option to connect over WiFi as well as the more standard route of connecting through USB 3.0, which increases the transfer rate tenfold–so it’s perfect for all situations. WiFi convenience when you want it, and blazing fast USB 3.0 functionality when you need it; what else could you really ask for?